Launch campaign on now to promote the Cube Café’s new menu. Order an item with a cherry blossom off the menu and receive a special gift! 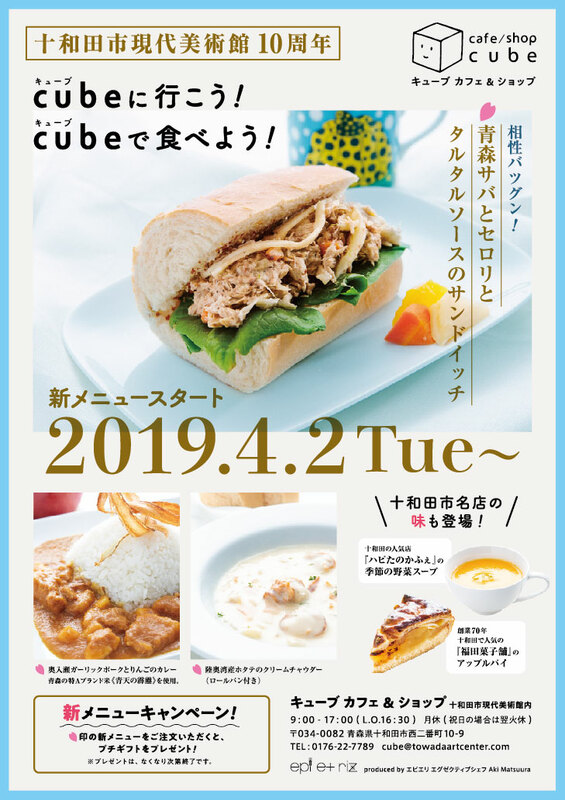 The Cube Café and Shop is just that—a giant white cube that sits at the east end of the Towada Art Center and houses its very own cafe and shop. 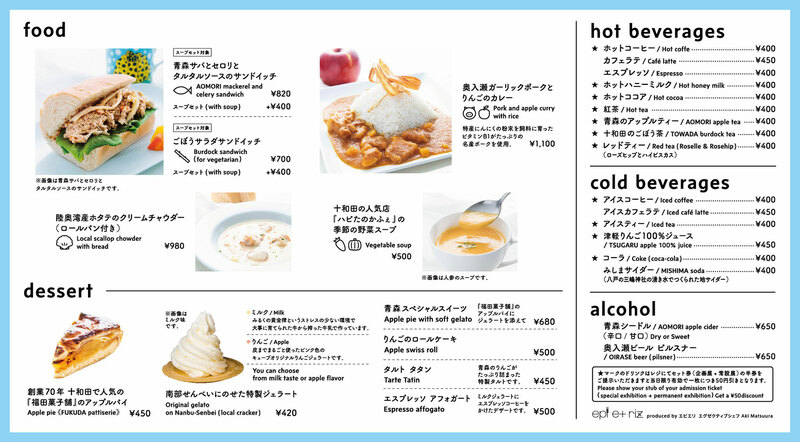 To celebrate the tenth anniversary of the Towada Art Center, Cube Café has completely redesigned its menu. Our goal—to provide our visitors with delicious, healthy food using the best ingredients, all sourced locally. Our shop offers a variety of original merchandise from artists in the museum’s permanent collection and exhibitions, designer items, and other local foods and crafts that make the perfect gifts. The Cube Café and Shop is open to the public, so please feel free to stop by and take a look around.